Have you ever dreamed of racing through the beautiful vineyards of Sonoma wine country? 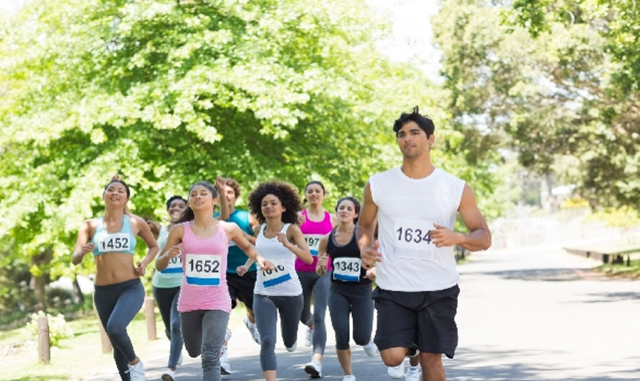 Take off on a run across the landscape of the renowned Kendall Jackson Winery on August 7th. The 2016 Water to Wine Half Marathon & 10K is a Sonoma County summer tradition for runners of all levels with two courses to choose from. Set on 120 acres, Kendall Jackson Wine Estates and Gardens is a spectacular setting for any event, especially a marathon. Featuring a grand chateau and lush gardens, you can stick around after the race to tour the vineyards and learn about the history of this famous winery. Of course, you can also sample a flight of wines and purchase bottles at a discount to bring home. 99% of the course is on paved surfaces with just a brief stretch on a dirt road. The race kicks off at 7 am, so you can stay at Best Western Dry Creek Inn the night before. Grab a quick continental breakfast and head for the starting line. You can register online to reserve your space. When it comes to Sonoma county things to do this summer, sign up for the 2016 Water to Wine Half Marathon and stay at our Healdsburg hotel located only 13 minutes away.